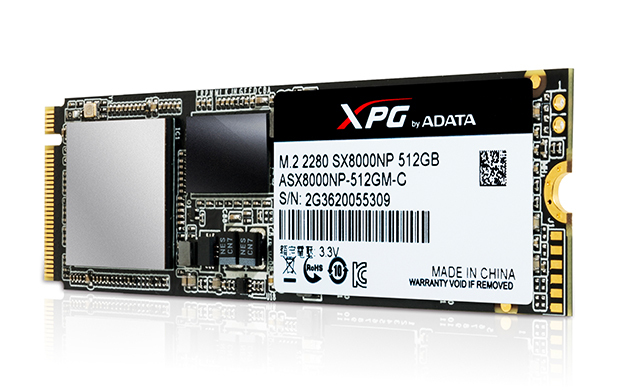 ADATA Technology, a leading manufacturer of high performance DRAM modules and NAND Flash products, today launched the XPG SX8000 SSD, which uses an M.2 form factor loaded with 3D MLC NAND Flash and an SMI 2260 controller. The SX8000 meets NVMe 1.2 specifications and connects directly to motherboards via PCI Express 3.0 x4 (PCIe 3x4) to deliver 2.4GB/s read and 1GB/s write, with 100K/140K IOPS. 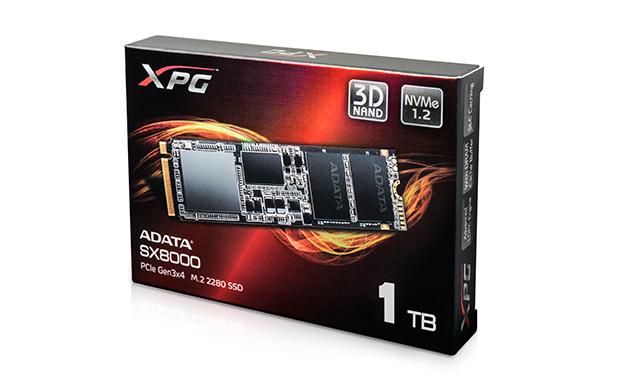 The SX8000 arrives in diverse capacities (128GB, 256GB, 512GB, and 1TB), ensuring a new generation of SSD performance is available to more users. A slightly faster version fitted with an attractive XPG heatsink will release by the end of October, promising an aesthetic bonus for case modding enthusiasts.